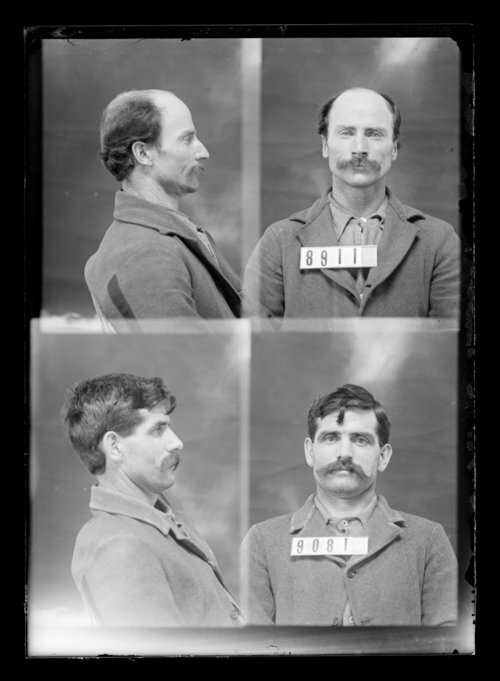 This photograph shows James Thomas, prisoner number 9081, and Steve Jones, prisoner number 8911. James Thomas was received at the Kansas State Penitentiary on October 16, 1899 from Ellsworth County, Kansas for picking pockets. Inmate Steve Jones was received at the penitentiary on May 6, 1899 from Atchison County, Kansas for grand larceny.